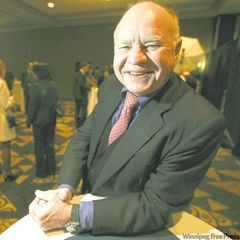 Swiss investor and publisher Marc Faber will be the key speaker at a forum next month on investment opportunities in Vietnam. Faber will lead the Vietnam Investment Forum 2014 on June 19 in Ho Chi Minh City to discuss the rise of emerging markets and the opportunities for Vietnam, Thoi bao Kinh te reported. He will speak on investment opportunities in Vietnam’s stock market, which he has spent the last year hyping internationally for the past year. As chairman of Indochina Capital Faber has managed property investment funds with a committed US$500 million in Vietnam. He's also served as chairman of Vietnam Growth Fund Ltd. Worth $309 million, and remains a shareholder of Hong Kong-based Asia Frontier Capital which has investments in Vietnam. The publisher of the monthly Gloom Boom & Doom Report and author of Amazon’s bestseller Tomorrow’s Gold: Asia’s Age of Discovery will also offer his forecasts on a possible burst of the global financial balloon, which could be worse than the 2008 crisis.